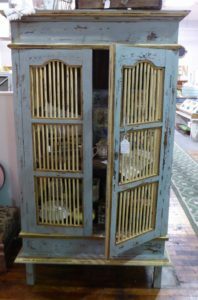 We still have a Limited Number of Booths and Cases for Rent. (Wide Variety of Merchandise Accepted). 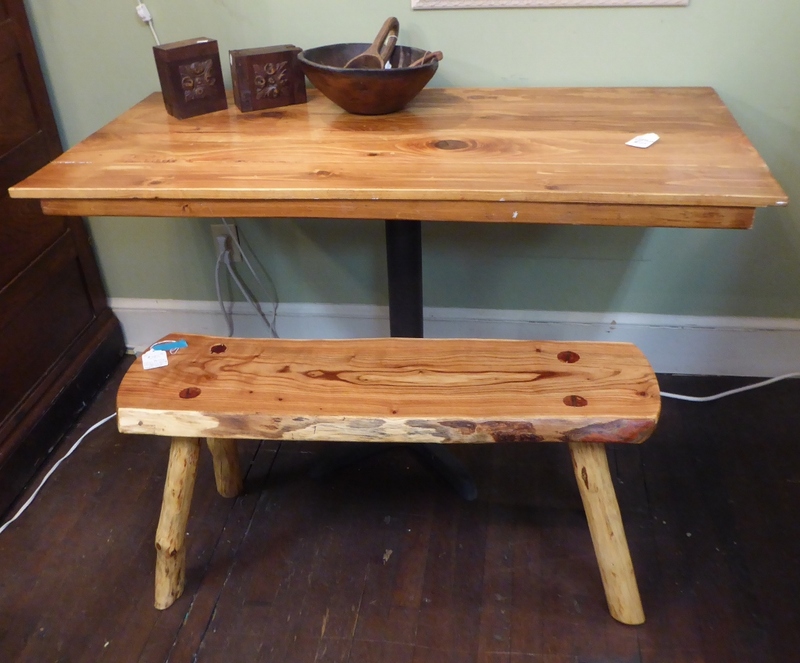 Call Shelby Collins at the Emporium, 540-465-3711 for More Information. Scroll Down for More Photos, Descriptions and Prices! 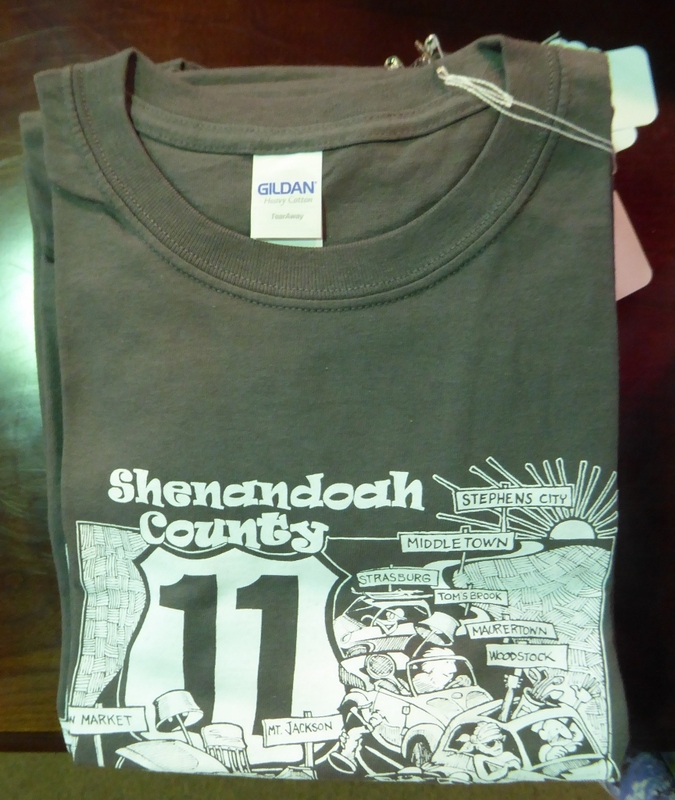 Route 11 Yard Crawl T-Shirts are Now Available at the Strasburg Emporium!!! 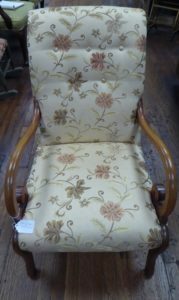 $10.00 ea. 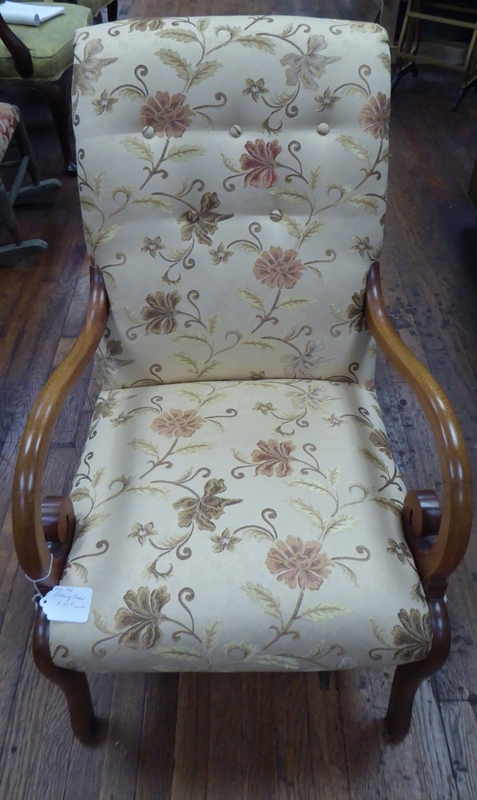 Booth 35, Lolling Chair – was $145.00, NOW 50% off !! 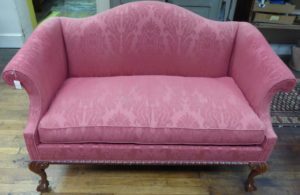 Chippendale Settee, Booth 33 – $395.00. Cast Iron Skillets, Some ‘Wagner’ – $20.00, $39.00 ea. Booth 217. Virginia Metal Crafter’s Bookends – ‘Monticello’, Booth 317 – $25.00. 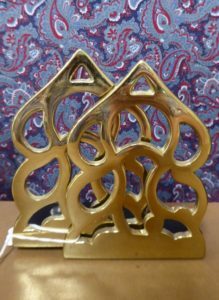 Metal Garden Table, $30.00, Booth 56. 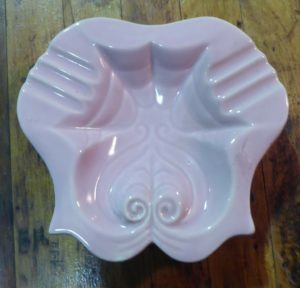 Pink Mid-Century Ashtray, Booth 56, $5.00. 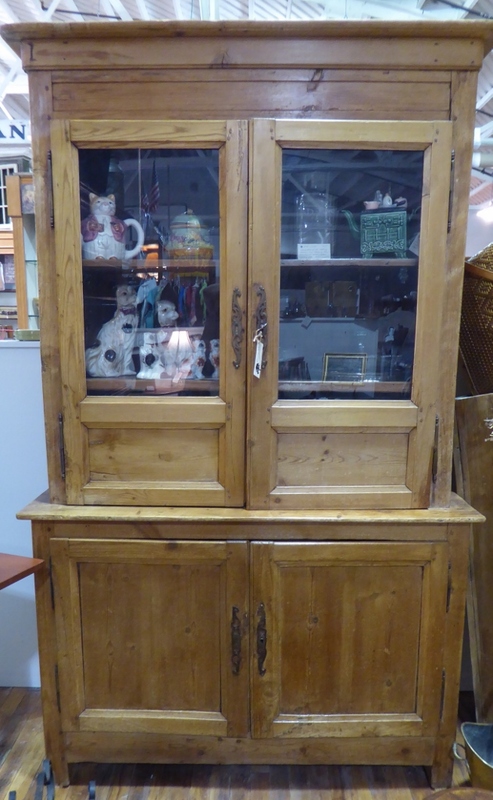 Early 19th c Pine Stepback w Original Hardware, Booth 90, $725.00. 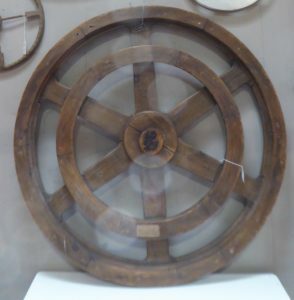 Fabulous Pulley Wheel, Booth 111 – $450.00. 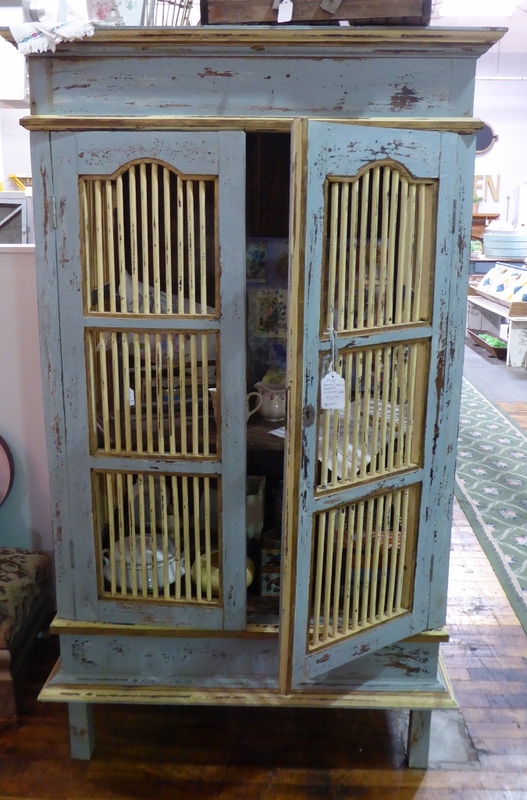 Tropical Armoire w Key, Booth 137, $550.00.